Repair your existing door and save hundreds of pounds over a new door. The repair is fully guaranteed and if not completely satisfied you receive your money back. 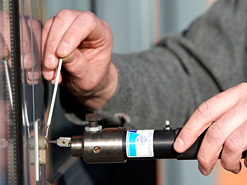 Lock snapping is now the primary way thieves are gaining access to homes in the Doncaster area. If you are looking for a reliable, experienced locksmith in Doncaster, SF Locksmith provide an emergency lock repair, lock replacement and lock fitting service. With over 20 years experience we can guarantee that whatever your problem, be it at home or at work, a broken window lock or snapped door key, we will be able to help. Give us a call for a free, competitive, no obligation quote. Have you or your family recently had the misfortune of being the victim of a break-in? We understand the inconvenience and stress this can cause to you or your family, which is why SF Locksmith not only replace and fit new locks throughout your property, but also restore peace of mind to re-establish your personal security. If the locks have been "snapped out", which is common, we will fit antisnap locks to prevent this again. If it is mortice locks that are to be replaced, these will always be of British Standard. 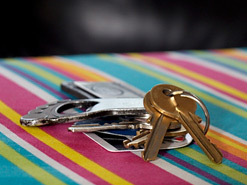 Have you snapped your key or lost the keys to your home, office or shop? These unfortunate happenings are sent to try us, but we can resolve the problem in no time at all. Only a quick phone call away and SF Locksmith can ensure you get inside quickly, and the security of your possessions are not compromised. 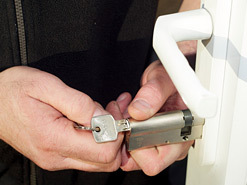 The locks we fit will also be of the same quality or even higher, if it is required, to increase your future security. Here at SF Locksmith's we understand how inconvenient and awful it will feel to be locked out of your home, office or shop. We provide a 24 hour emergency service to help relieve the stress of it all. We will have you back inside quickly and with little fuss. Our experience, knowledge and dedicated customer service allows us to help you at these times, in the most convenient and efficient manner. Great, swift service. Very knowledgable and friendly.